Lic # 17STR-15238. Il s'agit d'un grand appartement d'une chambre pouvant accueillir 2 personnes, avec un très grand lit qui constitue l'autre moitié d'un duplex indiqué sur le VRBO # 291843. L'appartement est situé dans un quartier tout à fait sûr qui est cinq pâtés de maisons du quartier français et deux pâtés de maisons de la rue des Français qui a la musique live, des restaurants, bars et boutiques. La région fait partie de l'arrondissement historique de la Nouvelle-Orléans. C'EST UN EMPLACEMENT IDÉAL. Very, very nice house to stay in. It had great neighbors in a great location, great everything. We will most definitely rent again. Great cozy duplex. Neighbors were a little noisy but overall great stay. Initially was concerned that it was a bit far from the French Quarters, but then really began to explore the area and liked it a lot. Would definitely stay there again. We greatly enjoyed a five night stay in Marigny at this home. We usually stay in other neighborhoods, but we won't anymore! The location is fantastic - on a quiet street with good people watching from the porch! The home is only two blocks from the music of Frenchmens - go in the afternoon, not crazy and free shows. Sukho Thai on the corner is some of the best thai food I've ever had - go to the Orange Couch down the street for excellent coffee. The home itself is a larger than the pictures show, and very comfortable. Larry was great to communicate with and very flexible on timing. I can't recommend enough! We loved this house and location! 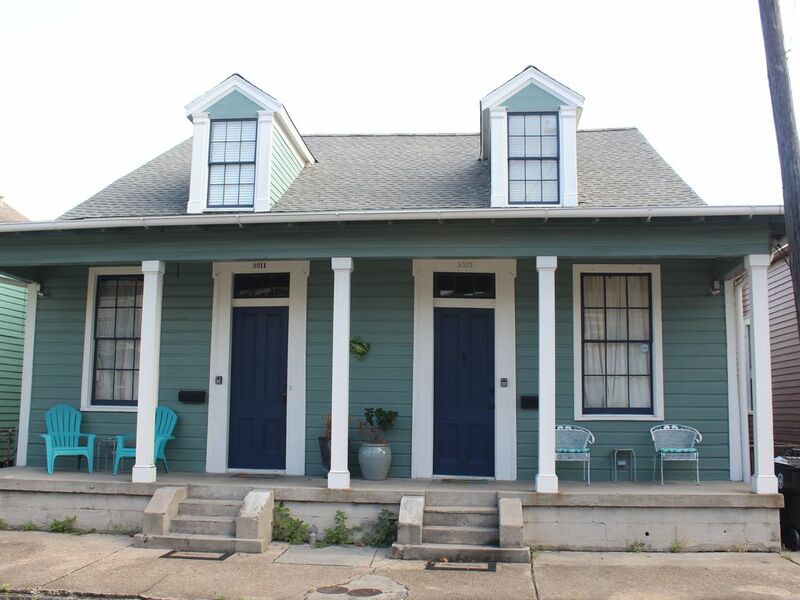 This house is in a great location if you don’t want to be in the mix of the French Quarter the entirety of your stay - really fun and quaint neighborhood with coffee shops and restaraunts nearby - while being an extremely easy and short walk to the Quarter. House was really nice and comfortable. We loved staying here and highly recommend it. This apartment was just what we needed for our trip. There were three of us so two shared the bed, one took the couch. We were all comfortable and the location was a perfectly fine walk from the main streets in the French Quarter. I’d stay again. Thanks!